Lakshiminarayana has two decades of experience running a small shop in Bengaluru. Despite this experience, he couldn’t get a loan when he wanted to expand his business. Few banks would give him a chance, and those institutions that would serve him offered terms so demanding that they could sink Lakshiminarayana’s small enterprise. “The micro business sector plays a vital role in our economy, providing job opportunities to skilled as well as unskilled labor. 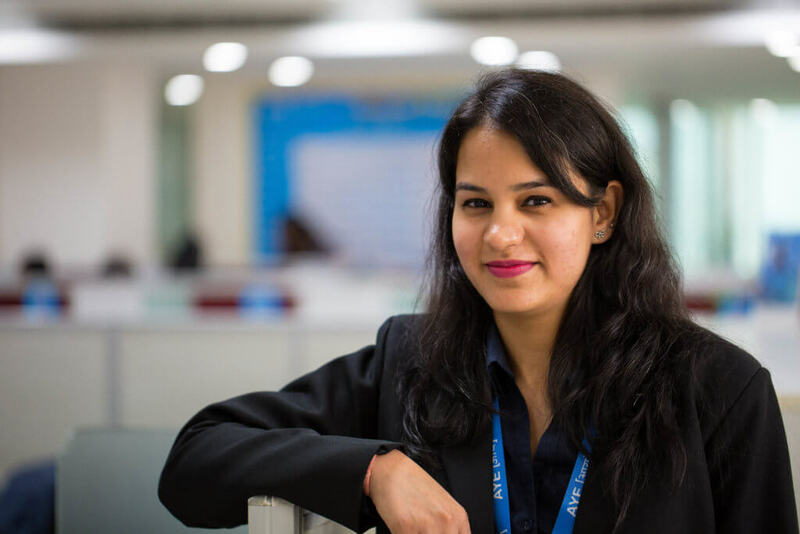 That is why it is necessary to service the credit needs of this sector,” says Anvesha Bhatnagar, Aye’s assistant manager of finance. Fully supporting this sector isn’t just about funding says Anvesha: “We are making a difference by serving the sector, which is neglected by the big banks and financial institutions — by not only providing them access to affordable finance but also helping them benefit from the digital revolution underway globally.” The app Aye has built supports these entrepreneurs in all facets of their business, from the digitization of their bookkeeping to reminders of payment due dates. An additional benefit Aye loans provide micro-entrepreneurs is creating credit histories, which allow them to increase their avenues of raising funds from organized sources. Most of Aye’s 65,000 borrowers are new to the formal lending space. With no established credit history, traditional financial service providers wouldn’t serve these clients. They would have to turn to informal, and often predatory, lenders, or forgo the funds they need. Once they’ve gone through the lending process with Aye or used Aye’s business management tools, they’ve begun to establish a more formal financial record, which will help them access the financial services they need in the future. Entrepreneurs appreciate how Aye’s services are opening new doors for them. ”They are very happy with the app,” says Anvesha. “They are very interested in learning this new app because it is actually helping them to bookkeep their records in an organized format,” she adds. Lakshiminarayana is one of these happy clients. With Aye’s help, he got the funding he needed to purchase more inventory and expand his shop. 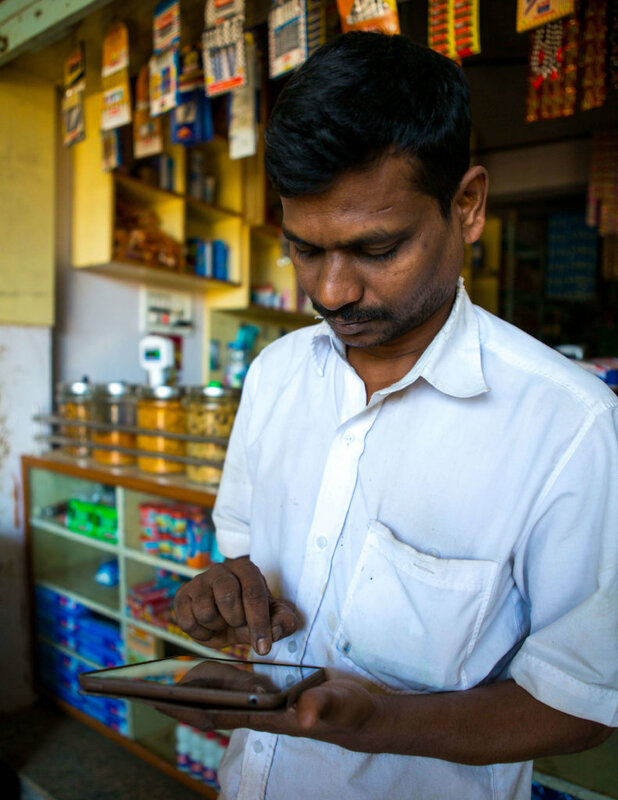 As he continues to grow his business, Lakshiminarayana even hopes to branch into wholesale distribution and increase his income and opportunities.